Home Books Author Mythology FEATHERED SERPENT Published! Mexican myth in the house! Today is the official publication day of FEATHERED SERPENT, DARK HEART OF SKY! 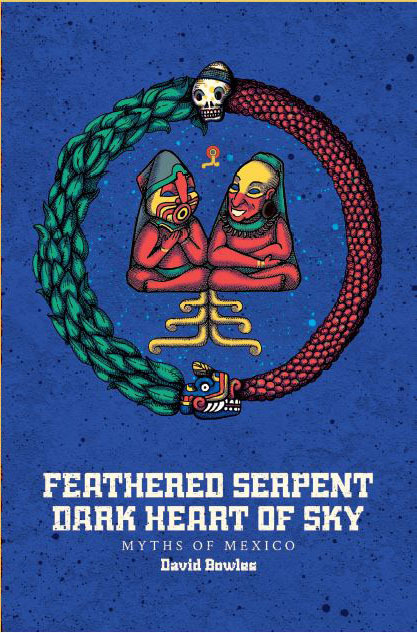 “Feathered Serpent, Dark Heart of Sky presents the tales of Mexico’s ancients not as improbable fables but as flesh-and-blood narrative. Great writing, spectacular characters, and a surprising, uplifting ending pertinent to our times. Take that, Book of Revelation!” —Gustavo Arrellano, author of Taco USA: How Mexican Food Conquered America; columnist for the Los Angeles Times. Special thanks to Cinco Puntos Press, Chris de Maíz, Ramón Cárdenas, y nuestros antepasados. Que estos últimos nos guíen siempre.